How to disable Pipeline page view for users? 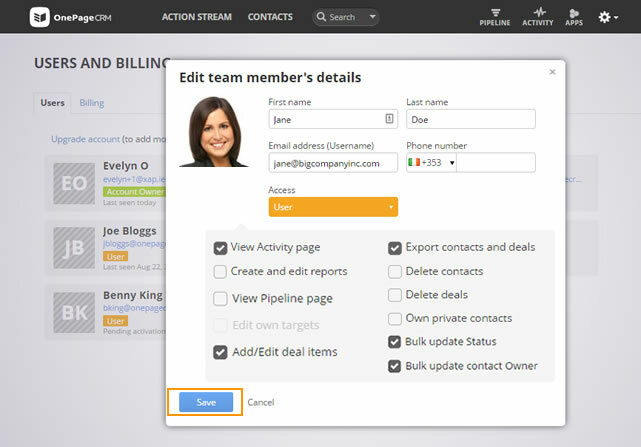 Account owners and Administrators have the ability to disable the Pipeline page view for users. Go to the gear icon → click Users and Billing from the dropdown. Click on the User whom you wish to remove access to. In the Edit team member's details pop-up, untick the View Pipeline page box → click Save to submit the changes.